Each week, members of the congregation pray with and for the pastors prior to worship. Our prayer chain volunteers pray for the concerns of our members, our communities and the world. We would love to pray for your needs as well. Use the Prayer Request link to submit a request below. 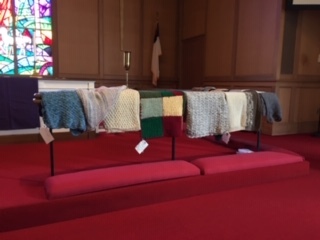 If you are blessed with the skill of knitting and/or crocheting (or would like to learn), please consider our prayer shawl ministry. 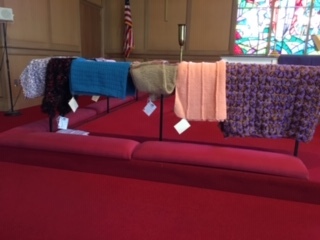 We meet the 2nd Tuesday of each month from 10-11 AM and knit shawls/lap robes to be distributed to members in need of comfort. 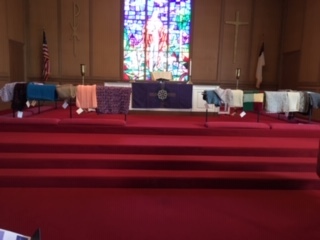 We also provide Baptism shawls to babies ages 2 and under when they are baptized at St. John’s. We welcome any visitors who are thinking of joining. For more information on this meaningful ministry, please call Carol Rice, 215-357-1203.